It was a Sunday morning in April. Still a chilly time of year in New England, with dirty snow piles littering the parking lot and winter parkas still bowing the coat racks in the foyer. Our Pastor was sitting in the front pew, and the worship team was just finishing up the third song in the morning worship set. 300 people filled the pews, some praying, most singing. Children’s church was in full swing in the Sunday School wing of the building, and already we had paged extra nursery workers to come and help with the overflowing toddler rooms. The wail of the fire alarms halted everything. To their credit, the first leaders to move and organize an exit were the nursery workers and toddler teachers. The infant room required a 2 to 1 ratio, so each nursery worker was able to put a baby on each hip and walk outside. The toddlers lines up holding hands, and started for the exits. The children’s church room had 4 direct exits to the outdoors, and the students lined up at each exit door. The ushers and deacons had already made a dash from the sanctuary, in search of the problem. But everyone else in the sanctuary remained seated for a few minutes, unsure of what to do. There were questions instead of movement. Do we go pick up our kids? Should we go outside? Are the kids going outside? Should we get our coats? Do you think its really a fire, or a false alarm? The fire trucks were already pulling in the parking lot by the time adults from the sanctuary began to trickle outside. As it turns out, it was a false alarm. A fog machine, being used in children’s church for dramatic effect as part of a skit, had created too much fog and set off the fire alarms. But we learned a valuable lesson that day. The Sunday school teachers and nursery workers had talked through an evacuation plan. Even though it had never been practiced with the children, it still worked fairly well as all of these adults at least knew what to do. However, the church had never developed an evacuation plan for the sanctuary. They had never discussed what would happen if a disaster happened while the church was full of people. A fire. A gunman. A sprinkler head burst. A heart attack. A choking victim. After that day, the Sunday school department practiced fire drills with the students every other month. An entire church evacuation was practiced annually on a designated Sunday morning. The sanctuary evacuation plan was discussed from the pulpit during the announcements every other month, and listed in the bulletin. All new volunteers were walked through the shelter in place and evacuation plans for each section of the building. And a free CPR training was offered on a Saturday every six months for anyone in the church who wanted to become certified. It was mandatory for all ushers, deacons, nursery leaders and department heads. At the most fundamental level, that’s what church ministries are all about. Saving lives. Typically this means in a spiritual sense. However, protecting the very precious physical lives of the congregation that has been entrusted to your care is also critically important. It’s National Fire Prevention Week. Typically, we focus on home fires and home fire prevention. However, fires can happen anywhere. And the church building is no exception. Whether you have 50 people walk through your doors on Sunday mornings only, or you have 3,000 people attending Sunday morning, Sunday night and mid week services spread over multiple campuses, you have a fire risk. Whether you building is 1 year old or 200 years old, you have a fire risk. Whether that building is a log cabin in the middle of the woods or a steel and concrete building in the middle of an asphalt parking lot, you have a fire risk. We all do. And you have responsibility for the safety of your people. Whether your building is hardwired, has a central station fire alarm, or still has smoke detectors in each room, have your fire alarm system tested every 6 months. Keep ALL stairwells completely free of objects. Even if that stairwell is never used, do NOT use a stairwell as a storage spot. Keep them open and free of debris. Always. Create and review the evacuation plan with all church leaders, teachers, ushers and volunteers. Certain ushers should be assigned to go directly to the nursery and toddler rooms to assist. Additional ushers should be designated to assist the handicapped. This plan should be reviewed at least twice a year to make sure that all new volunteers are trained properly, and to make sure that the needs of the church haven’t changed. (i.e. Our church started a ministry to the deaf, that provided interpreters on Sunday mornings. After that ministry started, ushers were designated to help the deaf in the event of a fire alarm, simply because they would not be able to hear the alarm). Not sure about how to develop an evacuation plan? Your local fire department will help you. Call their business phone number (not 911) and set up an appointment for them to come and walk through your building with you. They will be happy to help you develop an appropriate plan based on your specific building, parking lot, number of exits, maximum occupancy etc. Have a bi-monthly fire drill with your entire Sunday School. Prep the Sunday School teachers and children’s workers ahead of time, but otherwise treat this like a public school fire drill for the children. Kids are familiar with how this works from school, so it should be very normal and “unscary” for them to practice this at church as well. Every other month, from the pulpit (perhaps during the announcements) explain to the congregation how to evacuate from the sanctuary. Point out the exit signs. And explain that they are to evacuate outside, and then meet up with their children OUTSIDE. Parents should not be stampeding to the nursery, as this will only hinder the teachers and ushers from performing an orderly exit. In the bulletin, list where each group of children will be located in the parking lot upon evacuation, so that parents will know where to meet their children. Your people will feel better when they know the plan ahead of time. Practice a full church building evacuation one Sunday morning per year. Purchase a defibrillator for the church. Have a specific set of volunteers who know how to use it. You may have first responders in your congregation. Consider talking to them about simply being available in case of a medical emergency on a Sunday morning. Arrange to have an RN, EMT, doctor, police officer etc. at each of your morning services. Make the ushers aware of who this volunteer is. Make the volunteer aware of where your first aid supplies and defibrillator are kept. Provide CPR training, for free, twice a year for all of your staff and volunteers. Consider making CPR certification a mandatory requirement for working in the nursery, being an usher or being the head of a department. If you decide to make it mandatory, find a way to offer it at no charge to those who you will require to have it. You can save lives. But you do need to think ahead, plan, pray, practice and be ready to execute. No one wants to believe that a disaster will happen to them. And we honestly pray right along with you that it never will. But when precious lives are at stake, it is always wise to be as prepared as possible. This entry was posted in Risk Management, Safety and tagged Disaster Prep, Risk Management, Safety. We're glad you stopped by! The goal of our blog is to provide stories, tips, ideas, and resources that pastors and churches can use to enhance the safety and effectiveness of their ministry. 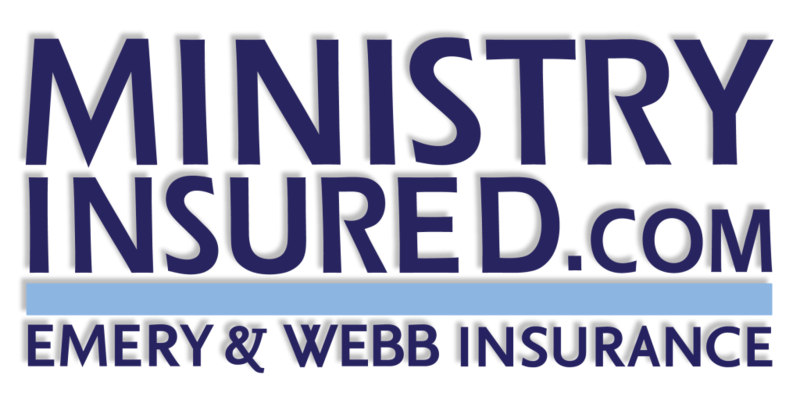 Our church insurance department employs former pastors and missionaries who have now made protecting churches their full time job. We share stories from their experiences, as well as risk management tools, disaster preparation checklists, safety tips and news that impacts our churches. We love what we do, and we hope that our passion for protecting churches and their ministries is evident.